The Polygon Maker for Phaser is a Windows application that lets you trace the outlines of any image you upload. Made for Phaser 2, this tool allows users to export their creations as JSON files using Phaser’s customized Physics shapes. The application features an easy-to-use interface. The developer also provided a quick guide that covers all the important points you need when using the polygon maker. 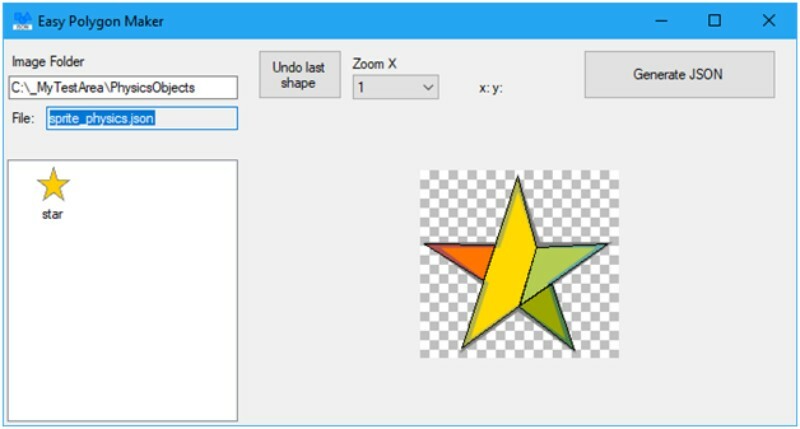 You can use this shape maker when creating sprites for your HTML5 game. Try the free tool here.